Here at the EcoVillage the Reverend (ABRD) offers Tunisian Frankincense Oil which is very thick, spicy sweet, and green in color. African Frankincense Oil from Sudan is the more traditional frankincense – loosely thick, spicy, slightly pungent, and dark brown in color. The Reverend (ABRD) also offers two Myrrh Oils. Tunisian Myrrh Oil is spicy (most oils from Tunisian tend to be uniquely rich and spicy).Moroccan Myrrh Oil is the more traditional myrrh and smells slightly more herbal/spicy. 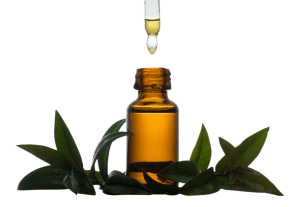 And then there is Frankincense and Myrrh Oil – the two forces combined create a very potent blend which is used widely due to it‘s heightened energetic qualities. Lastly, there are Frankincense and Myrrh essential oils which are very potent and have sharp spicy medicinal aromas. Other resinal oils offered by the Reverend (ABRD) are in the Amber family – Tunisian Amber, Thick Amber (which has the actual Amber crystals in the oil) and Tunisian Amber Blend.